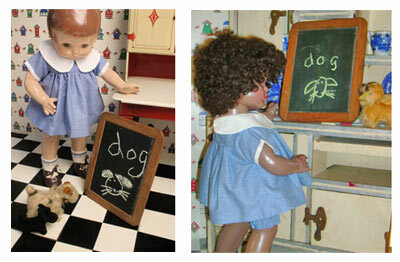 I’ve always been fascinated by dolls. 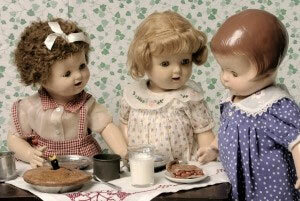 My friends, none of whom are doll people, see it as oddly quirky and I’m inclined to agree. But there it is. Dolls are not simply childhood toys. They give us a piece of history by putting a face to the culture in which they’re created. Taken with my father’s old Speed Graphic camera, this picture is evidence of this early interest. I’m holding my flat, but beloved, Bridget. Out of the sandbox and years later, my interest has shifted to another kind of doll. 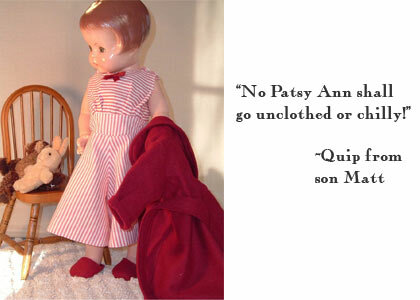 The vintage Patsy Ann, popular long before I was born, has replaced the dolls of those early years. Making sure that she is clothed is a story that begins much earlier. It all started in Ocean City, New Jersey, where my family spent the summer months. We lived in an old rambling house, now gone, that was bought by my great-grandmother when there wasn’t much to this South Jersey seashore island. The house had no phone or television, which now seems quaint and slightly exotic. What I remember most fondly about these summers is not the beach but all the many hobbies we were expected to create. 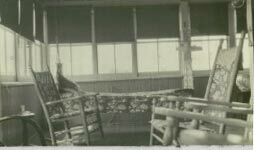 Here is the sun porch, where we swung on the mattress that hung from the ceiling or played hangman on the blackboard. It also housed the sewing machine, where my grandmother, Hannah, taught me to sew. And knit. This spawned what became a lifelong interest in textiles and design. 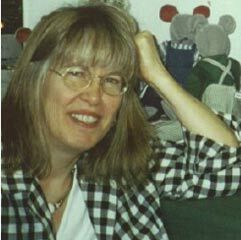 Years later I experimented with weaving, quilting and making soft sculpture dolls. 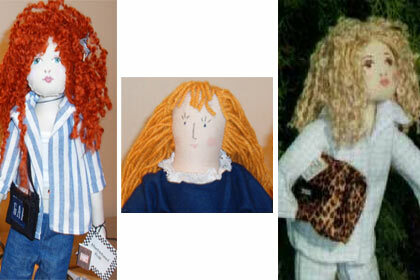 Looking for new inspiration, I stumbled upon the Patsy Ann doll. Finding that copies of the original 1930’s clothing patterns were available, I was hooked. I had found a pursuit that blended these lifelong interests. For several years, I made and sold outfits to Patsy collectors on ebay. The above photo is an early ebay listing. And then one thing led to another. Patsy Ann needed furniture if she was going to model. And what’s life without a dog or two? And if one Patsy Ann is good, several might be even better. Oh dear, I had become a collector! 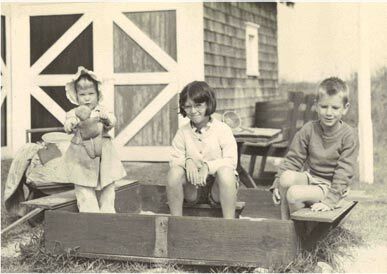 This led to a small museum exhibit Childhood in the 1930s – Patsy Ann and Family at the Wenham Museum in Wenham, Massachusetts. 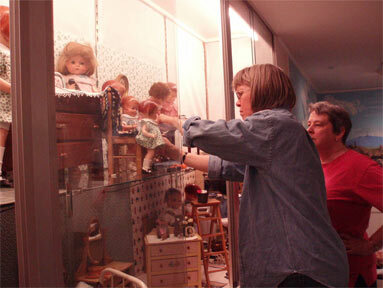 It displayed the dolls, my clothing and period toy furniture. Picture on the left shows one of the notecards sold in the Wenham Museum Shop. On the right is a scene from the exhibit. Patsy Ann is standing at an old vintage hoosier. Sad to see the museum exhibit end, I wondered if a website might serve as an “online museum”. 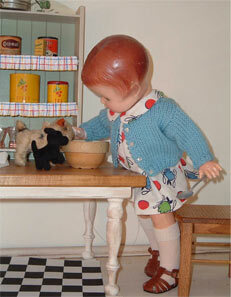 This wonderful old doll should have that visibility. Enjoy her – and this glimpse of childhood in the 1930s. Thanks to all the family and friends who have entered into the spirit of this and given encouragement along the way! You know who you are and I am most grateful.